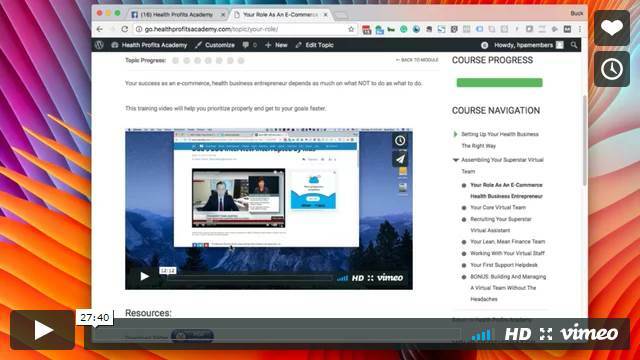 When Buck Rizvi released version 4 of his Health Profits Academy I finally relented and signed up. I had been considering doing so for 18 months, but due to one thing or another the time had not seemed right. Years earlier I had become interested in the dietary supplement market as a result of seeing the success that Ed O’Keefe was having running banner ad traffic to his flagship product Marine D3. Ed’s strategy for success was modeling what others – his direct competitors – had done before him. 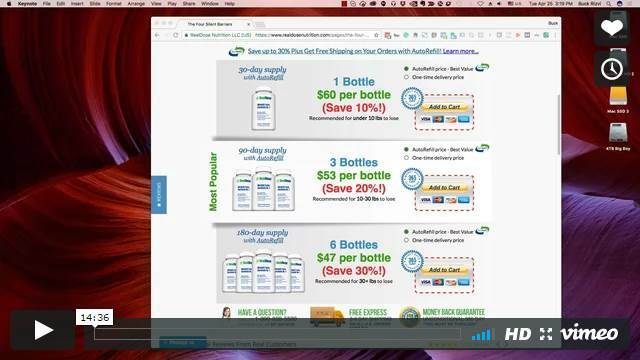 The result was he learned very quickly that upselling multiple bottles of the very same supplement he’d just sold to a new customer was the key to driving up his average order value (AOV) – more or less doubling the front end value of a new customer overnight. With a much higher AOV Ed could be a lot more aggressive in his ad spend. This allowed him to rapidly scale up his business, which is exactly what he did, making millions in the process. I never once thought that the process of putting together your own highly profitable dietary health supplement business looked easy, but it certainly appeared doable. Just how doable is the question that the Health Profits Academy course is designed to answer. Well, probably not. Buck was able to leverage his previous marketing experience and the lessons from his first health supplement business to leap frog his way to success with Real Dose Nutrition, the dietary supplement business that he, Michael Lovitch and Dr. Steven Sisskind helped bring to life in the latter half of 2011. I’ll have more to say about Real Dose Nutrition shortly. Now before I jump into telling you what I think of the course, I’d like to point out that I am NOT an affiliate for Buck’s program. I rate Health Profits Academy as a 5 star program. I am not being compensated in any way in exchange for my opinion which, let me say right up front, is overwhelmingly positive. On the other hand, I do get something out of going to the trouble of writing this review. I am a copywriter and my ideal client is a prospective or established supplement marketer – just the kind of marketer that Buck is likely to attract to his program. So if that description characterizes you (as it should if you are going to keep reading) then this review will have served its intended dual purposes: making you aware of me, and answering any questions you may have about the relative worths of investing into the Health Profits Academy course. This review pertains to version 4 of the course, which was released at the beginning of 2017. At the time it was advertised as a complete overhaul of the internal workings of Health Profits Academy, so what you find discussed here may not be entirely (or at all) in alignment with the version of the program that you would have access to should you decide to purchase it (in all likelihood though, the latest version is probably even better). Who Is The Intended Audience For Buck Rizvi’s Health Profits Academy? If you have been pondering the notion of starting your own dietary supplement company you’d be hard-pressed to come up with instructional material more suitable than what you’ll find in Health Profits Academy. The course has been designed from the ground up to answer just about every possible question that might occur to you about what it takes to get your enterprise off the ground and profitable. Make no mistake, there’s nothing easy about this process. It’s just as difficult as I imagined it might be. But to Buck’s credit, he understands this and has gone out of his way to tackle every nuance that you might be forced to deal with as a marketer looking to break into the dietary supplement business. You can think of Health Profits Academy as a solid A to Z blueprint to setting up your supplement business the right way. You don’t need to know a single thing about supplements to get started here. The only caveat, assuming you are brand new to all this, is that you should have some idea about what your first supplement might be before committing yourself to going through the course. You need a purpose. Buck talks a lot about the importance of building a purpose-driven health business, and you’re going to have a hard time convincing both him and yourself that you’ve put a lot of thought into what the purpose of your business is (besides the money-making aspect) if you have yet to even settle on the nature of your first product. You need a focus. As you go through the course you’ll have a much easier time picturing what it is you need to do at each point if you have a concrete idea in mind about the nature of your first product. There are so many ways you could go here that if you don’t yet have a good idea about where you want to go you’ll likely be overwhelmed with the possibilities. You need to be able to see your end goal. It is going to take you weeks, if not months, to work your way through this program. If you go into it too early, before you understand what it is you’ll have achieved by the time you finish the course, odds are you’ll find an excuse to put aside completion of the program until later – and you may never get back to it. Towards the end of 2015 I’d managed to convince myself that the next thing I needed to learn about in detail was the business of running a dietary supplement company. I was eager to jump right in, but at the time I didn’t yet have a specific supplement in mind. Because of that, when I enquired about the program Buck suggested holding off until I was able to come up with a clear idea for a starter product. Today I do have an idea for a supplement but not a sufficiently convincing plan to market it (I have a tentative idea but it needs work). For now it’s enough for me to be able to picture my dietary supplement as a viable product and understand everything presented in Health Profits Academy in the context of this imagined end point. If you have yet to create your first supplement offer I recommend you do the same. Figure out the nature of your target market, understand what problem your supplement is going to solve for those people, and have a clear idea of just how your product will stand out as being unique from the competition. That last bit is going to be VERY important (the unique aspect) when it comes to the marketing of your product, and is going to be the deciding factor in whether you succeed or not. So if you’re a complete newcomer to the business of dietary supplements you’ll want to give this a lot of thought before diving in. Who else would benefit from going through Health Profits Academy? Certainly anyone who has an established health-related business and who knows how to run traffic to their offer. Health Profits Academy has proven to be attractive to, among others, fitness trainers, personal coaches, medical doctors, nutritionists, holistic health practitioners… and of course, like Buck was before he made the leap, both former and current corporate executives with an eye on the exit door. Who Is Buck Rizvi To Be Teaching You The Best Way To Run A Dietary Supplement Business? Buck Rizvi in Boulder, Colorado 2016. He seems to be excited about showing you the exact steps that he took to succeed. It’s kind of weird if you think about it for a second. Because he undoubtedly generates far more income running his supplement companies (he has two) than he does teaching others how to become his competitors. So what’s in it for him? To help you better understand the answer to this question let me sketch out for you the main elements of Buck’s story. Before I do that, I do recommend keeping one thing in mind – that what is IN the course, the quality and completeness of it, is ultimately far more important that any of the history that led up to its development. Nevertheless there are enough sufficiently relevant events in Buck’s story to paint a decent picture of what shaped his thinking most over the years and why he believes what he does today. At the age of 19 he joined the United States military and began training as an airman at England Air Force Base in Alexandria, Louisiana where he worked on a plane called the A-10 Thunderbolt. 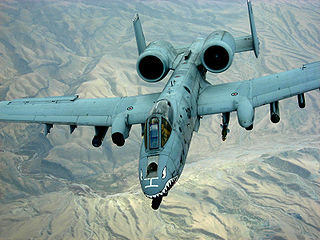 The A-10 is basically a flying Gatling gun designed to shred tanks with large depleted uranium armor-piercing bullets. But it was the plane’s exceptional durability that made the greatest impression on Buck. It could withstand direct hits from high-explosive projectiles. Perhaps more impressive yet, it had been built with a doubly-redundant hydraulic flight system – just in case primary flight control was lost due to the plane taking damage. In the unlikely event that both those systems should be taken out, the pilot could depend on a backup mechanical piloting system to maintain control of the plane and avert disaster. This triple-redundancy mindset of the A-10 engineers would later help guide Buck when the time came to layer in “tough tiers” for his own businesses. After his time at England he endured what he has described as a 21-year stint in the “corporate rat race”. He worked his way up through the technology sector, part of it spent shilling products for both Fortune 500 and smaller companies. But it wasn’t the life he wanted. He had become what he has described as the “consummate road warrior” – his days spent on the road, away from his wife and son, living out of a suitcase and eating junk food. On the surface he had all the trappings of wealth. But it was getting harder by the day to deny that he was “in debt up to the eyeballs”, living paycheck to paycheck, and growing increasingly overweight. Of course he did what most people in the same situation would do – he tried his best to ignore the little voice in his head warning him he could not keep this up indefinitely. Until the day, while traveling for his job at the software company Tektronix, something happened that suddenly dialed up the volume of that little voice to a level he could no longer ignore. Sitting on a plane awaiting takeoff at Washington-Dulles he received the news that a plane had struck one of the World Trade Center towers in New York where he was headed for business. He got off the plane completely unaware of what was actually happening on September 11, 2001. When he learned while driving home that a second plane had struck the towers he realized that his perception of the world had fundamentally changed. Every notion of personal security that he had taken for granted was suddenly gone. Shortly after this he lost his job, which only reaffirmed his new conviction. Nobody was immune to waking up one day to find their life suddenly turned upside down by events beyond their control. It was an unsettling idea, one that permanently shaped his outlook on life and left him with the realization that he needed to become FAR more self-reliant. So much so that he might never again find himself at the mercy of others. Ultimately this lead to Buck launching a lifestyle business called Survival Dad concerned with all things related to both personal and financial security. But that would come much later, after he had figured out just what it takes to survive in an uncertain world. Back in 2001 he was far from realizing that goal. Buck soon found himself another job, but he couldn’t shake the feeling that he was still rowing the same boat, and that if he wanted to safeguard the well-being of both his own future and that of his family, he was going to have to dramatically change his approach to income generation. Over the next few years he dabbled in online home-based businesses with the idea that if one of them took off he could become his own boss. He tried network marketing, real estate investing, consulting, even a soy candle-making business. Then in the summer of 2005 he received an email solicitation from the Early To Rise newsletter to which he had recently subscribed. Agora was holding an internet marketing conference in Baltimore and the cost was $4,000 to attend. It was costly – but Agora had built a $100 million publishing business selling newsletters and the thought that he could get access to the inner workings of the “Agora Model” was too much for Buck to resist. Sitting in the conference on the second day he suddenly saw for the first time just how to build a profitable online business. The insights gleaned from the Agora conference quickly led to a second conference and this time the idea of a nutritional supplement company was already starting to take shape. Buck learned that Gary Halbert, one of the most respected copywriters of the day, had endorsed an info product created by someone who claimed to have built a $100 million supplement business. So Buck contacted Gary looking for a recommendation about how to get his own business started. In April 2006 Buck Rizvi launches Ultimate Lifespan LLC. Buck launched his first dietary supplement business Ultimate Lifespan using the letter Gary had written to promote Buck’s first product Ultimate Digestive Health. Sure enough, the sales letter began to make Buck money and ultimately the business grew to 7 figures. By the end of 2006 he was making more with his new business than the $150,000/year he was earning as vice president of a software company. So he quit and he has never looked back. Five years later in 2011 he partnered up with internet marketer Michael Lovitch to create Real Dose Nutrition. Real Dose Nutrition LLC was launched in August 2011 and because an 8 figure company within 18 months. The right ingredients at the real dose. In other words, while their dietary supplement competitors might be paying scant attention to the available science on supplement usage, Buck and Michael would take the exact oppose approach. Before formulating any product the pair would commit to doing the necessary research. Then they would base their selection of ingredients, and the relevant dosages, on quality peer-reviewed studies. That meant randomized double blind human clinical trials involving exactly the same ingredients and dosages appearing in their own product. They knew this was the only way they could be sure their product would deliver the expected outcome. 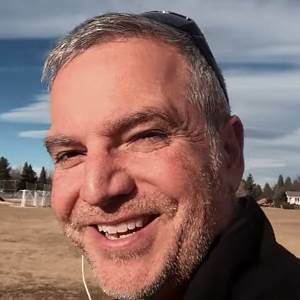 Dr. Steven Sisskind joined as the third partner of the company and within 18 months of launching their flagship product, Weight Loss Formula No. 1, they had hit $10 million in sales. At the same time Michael and Buck were dabbling with an info product business called Health Business Confidential. That business appears to have given rise to the idea for Health Profits Academy which Buck then created and has been solely responsible for since November 2014. One last note about Buck. I consider myself a fairly smart guy, but when I’m going through HPA Buck makes me feel a little stupid – he simply seems too knowledgeable about his field of expertise. On the other hand I feel like he’s playing at another level and it’s not clear that I could ever play at that level. For me personally, that’s not a great feeling. Take that any way you want, but the moral of the story, the point I’m trying to get across, is that this guy knows his stuff and he’s more than happy to share with you. 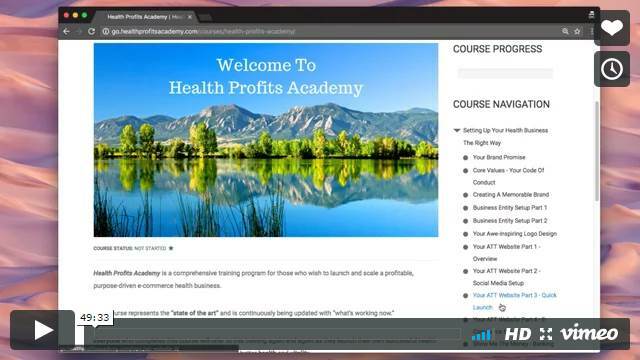 What Exactly Will I Find In Health Profits Academy? As with all in-depth trainings you know there’s going to be good news and bad news. In this case the good news is that by the time you’re one third of the way through Buck’s training you’ll be duly impressed by just how thoroughly he covers each topic. There’s truly a wealth of information to be found in Health Profits Academy. But that can also be seen as a little bit of a negative too. It’s at about this stage you start to realize that this is all serious business and there’s no easy button if you want to create the kind of dietary supplement business that one day could be scaled up to something similar in scope to Real Dose Nutrition. I tallied around 2250 minutes (more than 37 hours) of video content in the main program. Those numbers do not include any of the material you might receive as bonus products (and which I won’t discuss here as these may or may not be applicable to you – but they’re certainly substantial products). So there is more than enough content in HPA (including PDFs of the Powerpoint presentations) to keep you busy for weeks, or in my case as I slowly worked through it all, months. I tend to keep notes as I work through a course, as I did here. Otherwise it can be easy to lose track of where you are when life gets in the way and you come back after a break. But as you can see from the course menu to the right, it’s easy to keep track of which components in the course you have marked as completed (green status icons) and which you have not (grey). I’ll briefly cover below what you’ll find in each of the main course modules, each of which was unlocked a week at a time so as to keep course participants in phase with Buck’s weekly question and answer sessions. Right off the bat you’re going to be challenged by the questions posed in the first module. Because before you can take ANY actions at all you’ll need to be crystal clear on exactly what kind of business is it that you intend to run. Every decision you make here is going to have some effect on what you can and cannot do down the road. For example, Buck talks a lot about the importance of the mindset required to create and run a purpose-driven, profitable e-commerce health business. In other words, there’s a long-term vision, or grand goal, towards which you intend to aspire. Or there should be if you see things Buck’s way. If this sounds compatible with your own vision of how you intend to run your business, or at least the very idea sounds good to you – with a personal emphasis on accountability to your customers, an adherence to strict ethical considerations when it comes to choosing the type and quality of products you’ll sell, and a desire to conduct your business in a way that others would characterize as authentic, trustworthy, and transparent – then you’ll value the approach Buck takes here. You’ll recognize the worth of spending time on figuring out both what your brand promise should be, and your “code of conduct”, so that you and your customers wil be clear on the way your business is likely to develop going forward. Then there are all the technical and procedural aspects to setting up your online business so that there is literally a place on the web that your prospects can go to learn about your supplement offerings and purchase them. For example, do you need to worry about trademark matters? Probably. What are the legal ramifications of setting up your business as an LLC (limited liability company) rather than as a sole proprietorship? Now you’re thinking about asset and personal liability protection as well as the tax scheme you’ll attach to your business. 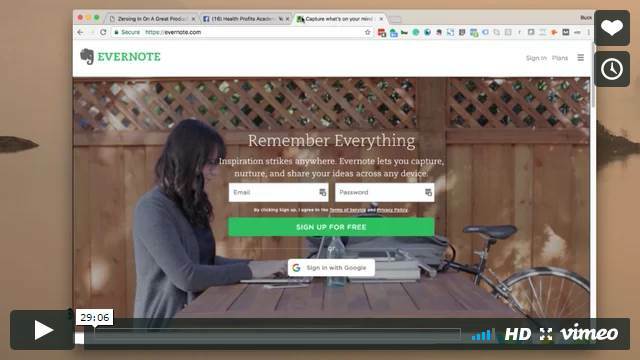 What’s the best way to build your web site? What’s important when it comes to logo design? What do you need to have in place to actually accept money from a customer on your site so that you can proceed to fill or order. And so on. You’ll learn how to put your business in place as a “minimum viable product” – something that demonstrates you mean business, even though you may be far from ready to think about where to look for your first customer. Some people like to work with others, and some prefer to be the lone wolf (I’m very much the latter). But what Buck makes clear in this module is that if you want to work from home, as he does, while running your dietary supplement business, you’re going to need some kind of virtual team to make things happen once you are up and running. Real Dose Nutrition functions with a team of 20-25 people working in different parts of the world. But this is an established company which, as I write this, has been operating since 2011 and pumping out approximately one new product each year. They’re also an 8 figure company. In other words, what applies to the operation of RDN in terms of staffing requirements isn’t relevant to what you’ll likely require to get started. In this module you’ll learn what the minimum staffing requirements will be for your business and how to go about finding the right people to bring on board. If you love people and you’re already good with working with others then you’ll be happy to learn the details about best practices when it comes to setting up a payroll mechanism and diligently performing the required bookkeeping for your business. Of course if you’re more the type that hates to relinquish control, this part of the program is going to be like dragging you fingernails down a blackboard. It’s not going to be fun, but if you’re determined to set things up in a way conducive to scaling your business when the time is right, you’ll find this module contains everything you’ll need to know. So how do you decide what an appropriate supplement might be to build your business around? Or if you’ve already decided, how do you know that your idea is good enough to proceed with? But let’s not get ahead of ourselves, because before asking either of those questions there’s an even more important one that will completely determine the nature of your efforts to expand your product line once you get a little momentum behind you. And that’s your target market. Who exactly is it that you want to serve? In the case of Real Dose Nutrition the founders decided that their target market was boomers – people born between the years 1945 and 1964. Basically old folks like me (I’m on the cusp, having been born in 1964) who have reached the age where the human expiration date can no longer be ignored. We’re not dead yet, but we’re starting to see definite signs that we’re mortal and some potentially bad experiences might await us in the not too distant future. In other words, we’re exactly the kind of market which is desperate for health solutions. Especially the kind that comes out of a bottle and doesn’t require a trip to the doctor’s office! In the case of Real Dose Nutrition the targeting is even more specific – it’s women aged 45 years and up with disposable income. Why? In large part because these women are responsible for the bulk of online supplement purchases. It’s considerations of this type – who are your prospects and how will you be able to reach them with your messaging – that you will need to think through before you even begin to focus on the nature of your first product. This module is designed to help you arrive at some answers. Once you’re clear on this then it’s time to think about what makes for a “house on fire” problem that your target market needs solved ASAP. The remainder of this module provides you with the research tools needed to figure out what that house on fire problem might be and how to come up with a product that works to solve the problem. In fact, the Breakthrough Product Formulation lesson is undoubtedly the highlight of this module. This is where Buck pulls out the stops and explains exactly what is required to develop a fully differentiated formula for a “unique product that works” – one that will serve both you and your customers for years to come. This is where you’ll be forced to answer essential questions about your supplement, like: Will it be a white-labeled supplement (branding as your own someone else’s existing product) or will it involve a “breakthrough formulation” that you come up with yourself? If the latter, then you’ll need a contract manufacturer to source ingredients and combine to create your final supplement, whether it be a pill, powder, suspension, or what have you. And to cap it off, you’ll need to do it all in such a way that minimizes your costs without sacrificing the quality you’ll need to satisfy your customers. If you’re concerned about the details of the manufacturing process, don’t worry, this is all covered more fully in the module that follows. Who wants to go to jail because they inadvertently made an unsubstantiated health claim that caused the Federal Trade Commission to come after them? No, not me either, and here’s the thing – I’m a copywriter so I make it my job to pay attention to the fine details of what I can and cannot say when writing about dietary supplements. I have to pay attention or else a client could justifiably think I don’t know what I’m doing and therefore might be putting his/her business at risk unnecessarily. But you? Odds are you’re not a copywriter. Nor a lawyer (which of course would be way better here). But Buck’s lawyer IS a lawyer and in this module he provides a slew of do’s and don’ts when it comes to making claims about what your product can and cannot do for your customer. You’ll be astonished at what you cannot say – which is just about everything you ever thought you MIGHT want to say about your product. That makes the compliance training part of this module incredibly valuable and more than a little scary. Thought you could get away with saying that your joint supplement has been specially formulated to relieve arthritis pain? Sorry, you go to jail. Or get a huge fine levied against you and your business shut down for good. Or maybe you fly under the radar and neither the FDA nor the FTC ever notices you. Then there are the rules for running paid ads to dietary supplement offers. No worries. You’ll be exposed to lots of good information about how to circumvent these problems ahead of time so that you’re not left wondering what to do next after your ad account is mysteriously shut down. But really you’re just getting started because in addition to compliance issues this module covers the nail-biting subject of contract manufacturing, where you finally put up a lot of money to have your product manufactured and you cross your fingers hoping that there won’t be some unforeseen issue that swells a 12-week formulation period into one that takes twice as long. It can happen. Ingredient suppliers can suddenly go awol. Contract manufacturers can sidebench your reorder for new stock because much bigger customers get precedence over you. So you will want to choose your contract manufacturer carefully and this module will help you to do it. Then there is your product label – what should go on it? Finally, you’ll discover how to choose a world-class fulfillment service that can take possession of the pallets of product sent on from your contract manufacturer, and package them for distribution to your customer. Honestly, the fact that it is relatively easy to do this – and Buck provides some great options here – is one of the more reassuring parts of the entire process of setting up your dietary supplement business! What does it take to get people to buy your product? 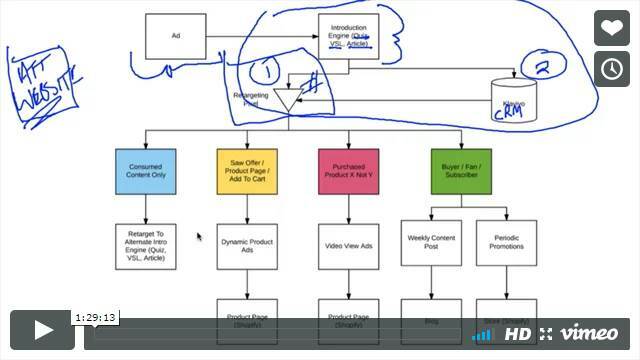 That’s essentially the nature of the sales engine module. How do you build a high-performing funnel that efficiently reels in prospects and then plies them with a sales message sufficiently compelling enough to convince them to take you up on your offer and part with their money? Luckily for us, it is much easier to sell a physical product than it is to sell the corresponding information product. That’s largely because there’s no great mystery about what it is that’s going to be arriving in our mail box. We get to study the list of ingredients beforehand, inspect the “Supplement Facts” label on the product, and make an informed decision. We will know exactly what it is we are paying for, and, if the sales message was properly crafted, we’ll also know exactly why we’re paying for it. What this means is that the sales process is more about creating what Buck calls an “authentic, trustworthy and transparent” set of interactions with your prospects than it is about convincing them that they’re about to receive some combination of mysterious ingredients that may or may not effect some magical relief of the physical symptoms that brought them to our store in the first place. Currently, one of the most effective ways to get this process started – representing the entry point to our funnel – is to present our prospects with a quiz that promises to reveal something about themselves. In particular, something about their state of health – a “diagnosis” if you like, which they otherwise might not have been able to figure out on their own. Real Dose Nutrition uses such a quiz to allow people to discover their weight loss type. In exchange for the prospect’s contact details they get to learn what it is about their unique metabolic make up that might be hindering their weight loss progress. But using a quiz is certainly not the only way to kick start your relationship with potential customers, and in this module you’ll be exposed to all of the approaches that Buck has successfully used recently and in the past. You’ll discover what goes into crafting the perfect offer so as to make it seem virtually irresistible – including how to sell multiples of your product, how to leverage the power of discounts, and how to present compelling subscription options. Buck shows you his personal blueprint for putting together the kind of high-converting video sales letter that he has used to successfully sell dietary supplements. To cap off this section of the program he even walks you through the construction of your sales engine using the same tools that he has used to create the sales pages and upsell sequences of his own businesses. Of particular interest to those who might dread outsourcing the construction of their store to an expensive web development agency is the prospect of being able to cobble together store elements largely through the use of two or more third-party integrated point and click systems that already work well together because they were designed from the ground up to do so. To some extent, putting together your sales engines can be like piecing together a highly sophisticated lego set made up of, not bricks that fit together, but powerful pieces of e-commerce software. At last, you’ve formulated your product, you’ve had your contract manufacturer prepare it, and you’ve shipped one or more pallets of it to your fulfillment center. In all likelihood you have less than two years to sell your inventory before the lot expiration date is reached and you have to dump the remaining stock and take a loss. So now it’s time for the rubber to meet the road. It’s time for you to drive targeted prospects to your offer and convince them to buy. The question is, how exactly do you go about this? 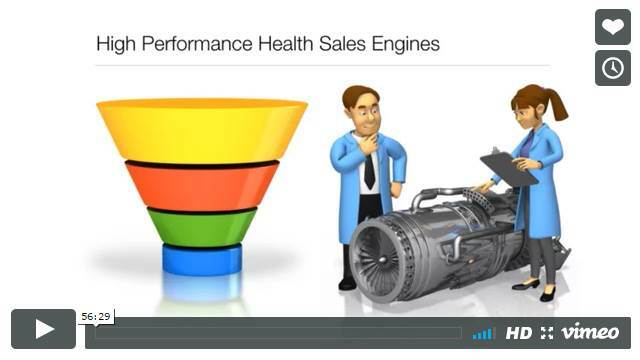 In this module Buck explains how he has used both the classic straight-to-VSL (video sales letter) approach and the more novel approach of using a quiz funnel as an intermediary to the presentation of the sales argument. Both approaches work if handled correctly, and you’ll hear Buck discuss the pros and cons of each model and why he still uses both, plus the circumstances in which one is favored over the other. The quiz funnel which is used as a lead generation tool for Real Dose Nutrition is based on an ASK style quiz funnel and by all accounts it has been hugely successful in helping to build a list of newsletter subscribers that number into the millions. But a good front end quiz, or a direct-to-VSL funnel, that has been coupled to a paid advertising campaign is not the only traffic strategy covered in this module. Retargeting as a means of keeping in touch with prospects who arrive at the entrance to your funnel but, for whatever reason, choose not to proceed any further with it, is a hugely important topic today. It is one of the multiplier effects that can turn an otherwise sure-to-fail campaign into one that can eventually be scaled. Either because it renders a paid advertising campaign immediately profitable, or it allows the campaign to sit at the “break even” point which guarantees you won’t lose money going forward. Another multiplier effect can be attributed to the quality of the follow up messaging sequence that your newsletter subscribers are exposed to once they opt into your list. Who sees what message when is covered in some detail here with the end goal of the module being that you’re able to move your inventory long before the lot expiry date arrives. That way you need never stress about having to slash prices and dump your stock before it’s too late and you’re stuck having to figure out how to destroy expired inventory. This last module was a kind of bonus to the advertised six-week/six-module course outline for Health Profits Academy. It is all about strategies for increasing the lifetime dollar value of every customer that “comes through the door”. Because the more profit you make on each current customer the more aggressively you can spend to get new ones. Buck covers two basic approaches to doing this. One is to increase the average order value associated with “front end” transactions – everything purchased on day one. The other is to do everything in your power to encourage your new customer to buy into the dietary supplement subscription model, where the customer agrees to keep purchasing more of your product at regular, automated time intervals. The recurring revenue model is of course the Holy Grail of any business because of its potential to significantly increase your bottom line and dramatically escalate the rate at which you can scale up your business. 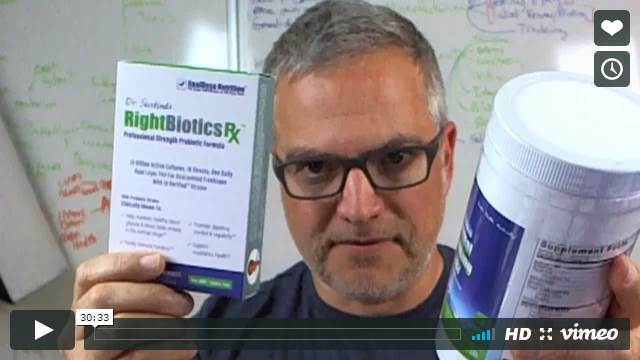 Buck not only explains what is working well in regards to both the front and back end models, but he shows you how to set it all up based on what he has done in both of his own dietary supplement businesses. And that brings me to the end of my summary about what you’ll find in the program. Hopefully I’ve been able to get across the idea that by the time he’s finished presenting Buck has covered a LOT of ground. Isn’t This Course Kind Of Expensive? Might I Regret Purchasing It? Health Profits Academy is what you would legitimately call a high end program. It is priced for an audience committed to making an impact in the dietary supplement industry and therefore, presumably, an audience willing to invest sufficiently in themselves to get started on that path. If you feel you belong to that group I doubt you’ll regret purchasing this program, no matter what you paid to become part of it. There are other educational programs out there that purport to teach you how to set up a dietary supplement business – some of them priced above what you are likely to pay to join Health Profits Academy. I have no direct experience with any of those programs so I cannot compare their strengths and weaknesses against this program. What I can tell you is that one of the chief strengths of Health Profits Academy is that it is run by someone who has skin in the game. Buck is a founder of two health supplement businesses, both of which he has managed to run successfully for years – one of them since 2006 – and by all accounts those two companies are regarded as models for how to run dietary supplement businesses in a way that keeps paid advertising networks, the Better Business Bureau, and both the Food and Drug Administration and the Federal Trade Commission happy. If you are going to pay someone to teach you how to do the exact same thing, you probably couldn’t do better than to choose to be taught by a guy who has a track record of doing just that. What Is The Nature Of The Health Profits Summit That Buck Rizvi Also Runs? The Health Profits Summit is a conference Buck holds in Boulder, Colorado for members of his Health Profits Academy. It is a two-day 9am-5pm event that is run in conjunction with the online program and it provides members with an opportunity to hear from around a dozen speakers whose fields of expertise are relevant to the running of a dietary supplement business. Many of the speakers are repeat speakers from previous events. Of course the summit also provides you with the opportunity to interact with fellow members of the program. I attended the summit in the spring of 2017, but I wasn’t feeling particularly sociable that week and I didn’t even really want to get on the plane. But I went and I can report that both the attendees and the speakers really seemed to enjoy themselves. As expected, the speakers were high caliber and the information presented was top notch. However, if you’re not going to take full advantage of the opportunity to mingle, and your registration in the course includes recordings of the summit sessions, I don’t think you’ll miss too much by staying home. But for the social butterflies, I would recommend getting on the plane. As Buck is fond of pointing out, when he began his foray into the world of dietary supplements there was no program available like Health Profits Academy to show him the shortcuts to setting up a supplement business the right way. He made mistakes, and in this business it can be costly to make mistakes. What this program provides you with is essentially a guide to setting up your business in such a way as to avoid making unnecessary mistakes, any one of which could cost you at least what you’ve paid for the program. Besides that, you’ll be shaving years off your learning experience compared to the time it would likely take you to get where you want to go if you decided to figure it all out on your own. Worse case scenario: you go through the entire course and realize that it’s more than you bargained for and you decide, at least for now, to shelve your plans for creating your own dietary supplement business. That decision alone might end up saving you tens of thousands of dollars and a year or more your time. However, if you’re dead set on building a dietary supplement business of your own and you have a realistic expectation of what it might take to get the job done, I think you’ll be more than pleased to have the Health Profits Academy training to guide you on that journey.